Medical nanobots are one step closer, as researchers developed simple nanorobots that can be propelled through blood to clear out bacteria and toxins. Image credits Mate Marschalko / Flickr. A team of engineers from the University of California San Diego has developed a class of ultrasound-powered robots that can scrub blood clean of bacteria and the toxins they produce. While still simple, the proof-of-concept nanobots could pave the way towards safe and rapid methods of decontaminating biological fluids — even in the bodies of living patients. The team builds their nanorobots out of gold nanowires coated with platelet and red blood cell membranes. This hybrid membrane is what gives the nanites the ability to clear out biological contaminants. The platelet membrane binds to pathogens such as the antibiotic-resistant strain of Staphylococcus aureus, MRSA, while the red blood cell membranes can absorb and neutralize toxins produced by bacteria. The gold nanobody is what lets the researchers move the bots around. The metal responds to ultrasound, giving the team the means to power them through the bloodstream without the use of engines or fuel. The bots need to be mobile in order to more efficiently mix with a fluid sample, speeding up the process of detoxification. The nanobots were created using processes pioneered by the teams of Joseph Wang and Liangfang Zhang, professors in the Department of NanoEngineering at the UC San Diego Jacobs School of Engineering. Wang’s team designed and built the nanobots and the means of ultrasound-powered propulsion, while Zhang’s team developed the process used to coat these in natural cell membranes. “By integrating natural cell coatings onto synthetic nanomachines, we can impart new capabilities on tiny robots such as removal of pathogens and toxins from the body and from other matrices,” said Wang. Furthermore, the natural membranes prevent the nanobots from being ‘biofouled’ — a process by which proteins cake onto the surface of a foreign body, which would prevent the nanobots from functioning. The hybrid membranes were created from natural membranes, separated in one piece from platelets and red blood cells. These were then blasted with high-frequency sound waves, causing them to fuse together. 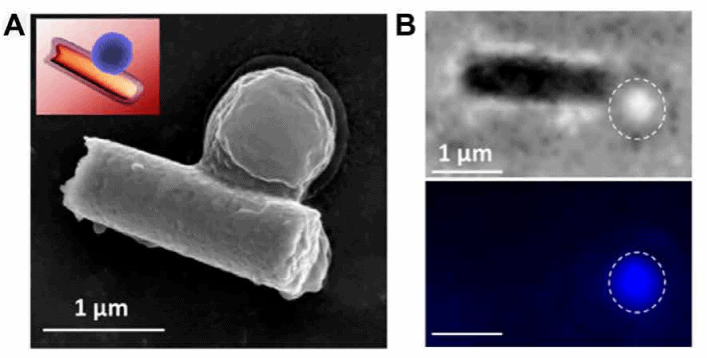 The nanobot binding to and isolating a pathogen. Image credits Fernández de Ávila et al., 2018, Science Robotics. The robots’ bodies were constructed by then applying these membranes to gold nanowires through chemical means. The finished devices are roughly 25 times smaller than the width of a hair, the team writes. 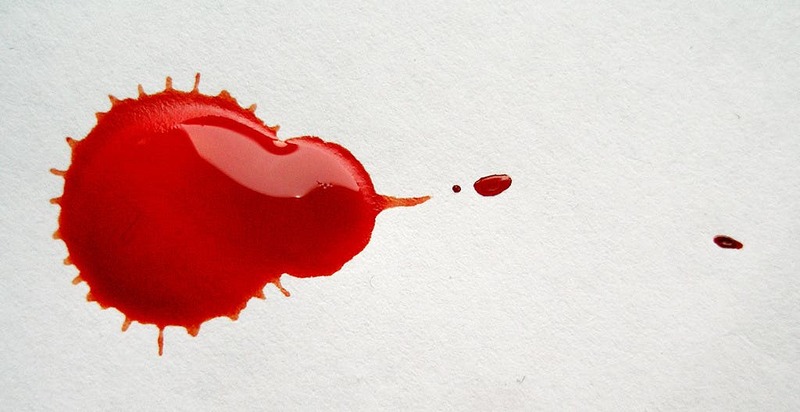 Ultrasound waves can propel them up to 35 micrometers per second in blood. They were successful in cleaning blood samples contaminated with MRSA and associated toxins — after 5 minutes of being injected, the levels of bacteria and toxins were three times lower in treated samples than untreated samples. If you’re like me and dream all starry-eyed about the day we’ll treat ourselves with nanobots, this research might make you feel quite happy inside. However, this work is at a very early stage. It’s also focused on something different — the team notes that, while their current nanobots can be used to treat MRSA in blood samples, they aim to have a device that can detoxify all kinds of biological fluids. We still have a ways to go until then. For the near future, the team hopes to test their devices in live animal models, and to devise a way of creating the robot bodies out of biodegradable materials instead of gold. The paper “Hybrid biomembrane–functionalized nanorobots for concurrent removal of pathogenic bacteria and toxins” has been published in the journal Science Robotics.